Will You Match the Price I Found OnLine of ...? Will You Match the Online Price of ....? We have been asked on occasion by folks why the price we quoted for a certain part is more than what they found from an online source. It's absolutely a valid question, and deserves a reasonable response. You'll find some retailers who will match online pricing from other sources, this is true. However, licensed contractors are expected, and required by law, to provide a warranty with their work. This is a value added on top of the part itself, and, to be perfectly honest, it costs real money to offer and to honor. You get the idea. 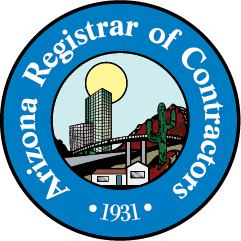 A licensed contractor in Arizona comes with the added insurance of a little something called the Recovery Fund, which protects consumers. This is part of the overhead that goes into pricing products and services. In addition, online sources typically buy products en masse with the intention of selling at low prices (often below wholesale) to do-it-yourselfers and weekend warriors. So, if there's any kind of a problem with the part, YOU are responsible for removing it from the installation, re-packaging it, and sending it off for repair/replacement. And, many times, you'll be responsible for the shipping, as well. When you hire a licensed contractor to perform a service, they know what it's going to take to install the product, including any adapters and extra parts that might be necessary, and have included that in their bid. There shouldn't be any surprise extra costs under normal circumstances. AND, should a problem occurs after installation, all you have to do is make a phone call and the problem will be taken care of for you, generally within a couple of weeks. You are always welcome to purchase a part online at your own expense, and you can probably find a handyman (which does not require licensing, etc.) to install it for you. Just know what you're getting into. So, the short answer is: no, we cannot match the price of a product purchased online, and the online retailers can't possibly match our service.